This last week was a big week for Billy, Nationals Taekwondo and his gotcha day! Tracy and Billy flew out Sunday night for Salt Lake City. Billy had to weigh in on Monday and was competing on Tuesday, flying home on Wednesday. 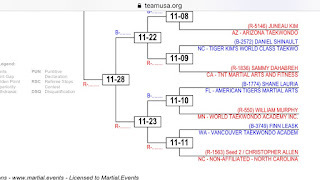 It was a bit nerve racking since he HAD to weigh under 41kg (90.4 lbs) in order to compete in his weight/belt bracket. In a seriously flawed system, whatever weight you compete at in the state competition (in February!) 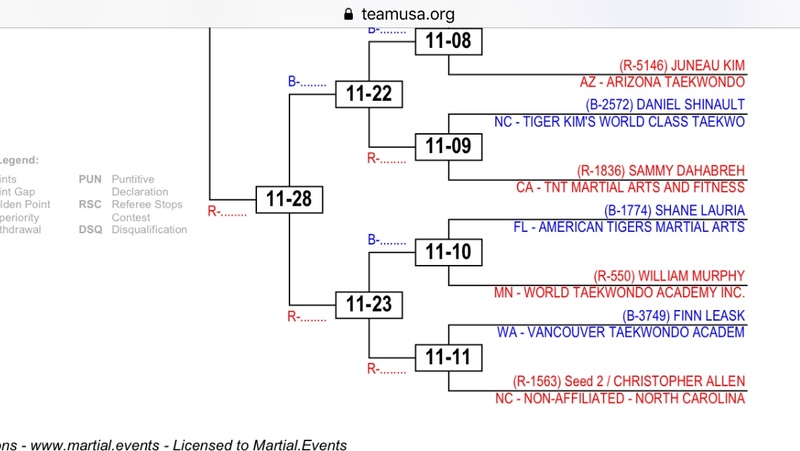 you are only allowed to compete at that weight bracket at Nationals. Never mind that these are kids and they are growing. He was fine until 3 weeks before the event and then he hit a bit of a growth spurt (which otherwise would have been fabulous), he was 94 lbs the week prior to the event and self selected to cut out sweets (he doesnt have much of a sweet tooth anyway) chips, junk food, etc. They kid has discipline. This only brought him down to 93lbs so then we had to start fasting. That part sucked. On Saturday we cut out all carbs and only ate veggies (pasta sauce, couscous salad, etc). On Sunday he had a cucumber for breakfast, a big water bottle full of green tea, a carrot in the afternoon and a water bottle of water when he got off the plane. That was it until he weighed in on Sunday morning at 10am. It was seriously nerve wracking. He was lethargic and didnt feel well. Tracy was worried ... But...he kept calm and stayed the course. He weighed in at 90.2. Whew!! 1st activity was to eat a banana and drink water. He promptly felt sick and we had to walk around for a bit. BUT...he's a kid and by the afternoon he was eating burgers. Thank god Kay doesnt have to drop weight for gymnastics or one of us wouldnt be here to tell the story! Once everyone was checked in and weighed in, now it was time for fun. We headed to Red Butte Gardens and they were gorgeous! We hiked for a few hours and the boys are still disappointed that we didnt let them climb the WHOLE mountain. Back at the hotel, was swimming and big pasta dinner at Olive Garden. Finally it was competition day....Isaac was up 1st and lost. Poor kid, he was on the lower end of his weight class and the other kids were huge. He has a nice black eye to show for his efforts though! Billy then fought a hard fight but lost 33-21. His coach said - I've never seen you fight better Billy, that was a gutsy performance and I'm so proud of you! You did everything I said and were a joy to coach. Thats our Bill!! Finally it was Ace. He also fought hard but lost to the kid who eventually won the whole thing. Not bad for the boys, in their 1st appearance at nationals as black belts. SO proud of them! Of course we topped off the day with swimming and ordering in food by the pool. The next day we needed an adventure so Tracy took a Lyft to the airport, picked up the worlds largest SUV and they were off to the Hill Aerospace Museum and Salt Lake via Antelope Island. They both were so cool, it was a major drag that they had a 5pm flight hanging over their heads. Tom picked them up from the airport and it was off to Leona and Bobs for fireworks. They have the PERFECT viewing spot and it was super fun. Then...the capstone for the week, Billys Gotcha Day! We had Korean food and brownies, kids champagne and everyone shared their favorite thing about Billy. The consensus is ... he likes and is nice to everyone, even when people aren't nice to him (like his siblings). I think thats pretty high praise. Billy is such a gentle, thoughtful, kind, fierce, determined, focused, insightful soul. We love you Billy!! Checked in & made weight! Flat Bradley - lets hope we win the prize! Thank you Leona and Bob!